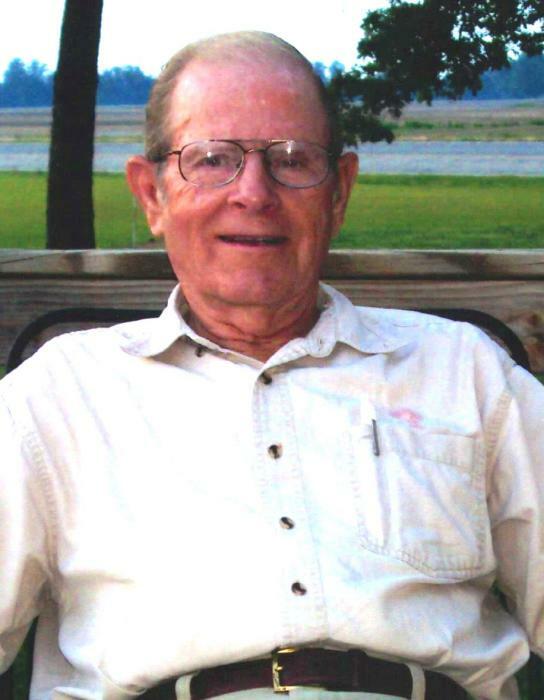 Relma Morris “Smitty” Smith, 86, of 1906 NC Hwy 55 West, passed away peacefully Sunday at his residence. The funeral service will be held Wednesday at 2:00 PM at Thunder Swamp Pentecostal Holiness Church, 1519 Thunder Swamp Road, Mt. Olive, NC. Interment will follow in Maplewood Cemetery. The Rev. Jonathan Altman will officiate. The family will receive friends from 12:00 PM to 2:00 PM in the Church Fellowship Hall before the service and at other times at the residence of Mr. Smith. Surviving are his three sons, Relma M. “Buster” Smith (Rosamond) of Faison, M. Temus Smith (Gracie) of Robersonville, Michael Owen Smith (Tammie) of Salisbury, NC; daughters, Barbara Ann McLawhon (Ricky) and Amy Smith Maggard both of Mt. Olive; grandchildren, Tonya Wise, Nikki McLawhon Kovach (Rob), Brandon McLawhon (Jessica), Lisa Fuetterer (Patrick), Mark McLawhon (Rose), Joshua Smith (Megan), Matthew Smith, Amanda Beasley (John), Kimberly Smith, Stephen M. Smith, Tabitha Gautier and Avery Maggard. Great-Grandchildren, Skylar Raynor, Kylee Wise, Kinsee Wise, Sean Fuetterer, Ryan Fuetterer, Anastasia McLawhon and Joshua Buffkin, Jr., Michael Buffkin, Magen Buffkin, Helen Beasley, James Beasley, Kamden Cruz, Harper Cruz and Cooper Smith; brothers,William Smith of Norfolk, VA and Eugene Smith of Seven Springs; sister, Louise S. Sheppard of Seven Springs. He was born in the Hood Swamp Community of Wayne County and was preceded in death by his parents, Katie Bell Dixon Smith and Bartemus Smith, his wife of 62 years, Peggy Garner Smith, a son, Stephen Clark Smith, sisters, Kathleen S. Barwick and Josephine Holland, and brother Clarence Smith. Mr. Smith was a member of Thunder Swamp Pentecostal Holiness Church where he served as a Deacon and Sunday School Superintendent for a number of years and was active in the Men Ministers. He was past president of the Mount Olive Lions Club. He was well known as the owner and operator of Smitty’s Chicken and Burgers for 35 years; he also owned and operated Smith Farms turkey farm for 20 years. In his free time he enjoyed riding horses, going on trail rides with friends and spending time with his grandchildren. He was an honorary member of Beautancus Saddle Club. In lieu of flowers, the family request that memorials be made to Thunder Swamp Pentecostal Holiness Church, 1519 Thunder Swamp Road, Mount Olive, NC 28365.